Home » Copycat Restaurant Recipes » The Commander’s Palace Salad Dressing – have this New Orleans favorite anytime. Commander’s Palace is a famous New Orleans institution. Their salad is a perfect start for a meal. If you are concerned about raw eggs, please use eggs that have already been pasteurized. Enjoy the flavor of New Orleans Commander Place with this recipe. Wash and dry greens and tear into bite-size pieces. 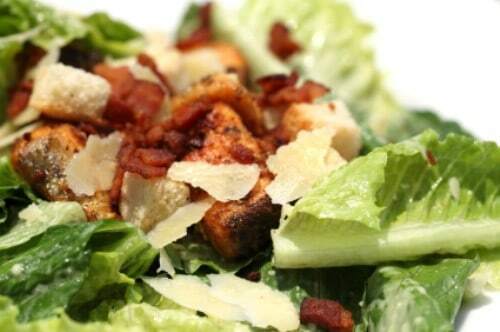 In a salad bowl combine greens, bacon, cheese and croutons. Put 1/2 cup oil and remaining ingredients in a blender. Cover and blend on low speed. Remove cover and gradually blend in remaining oil. Homemade salad is always best!